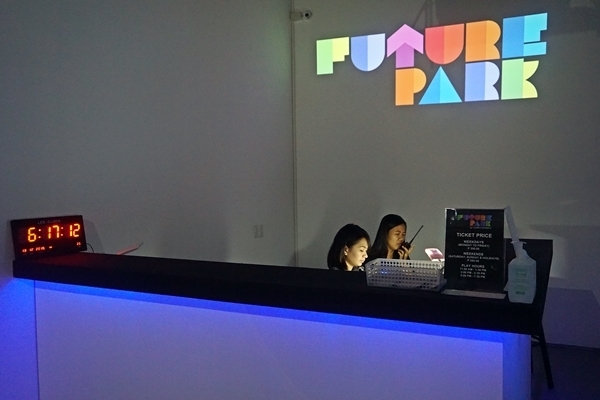 The Future Park is the first indoor interactive play exhibit in the country where kids and kids at heart can engage with emerging creative media technologies and innovative artistic experiences, according to their website. 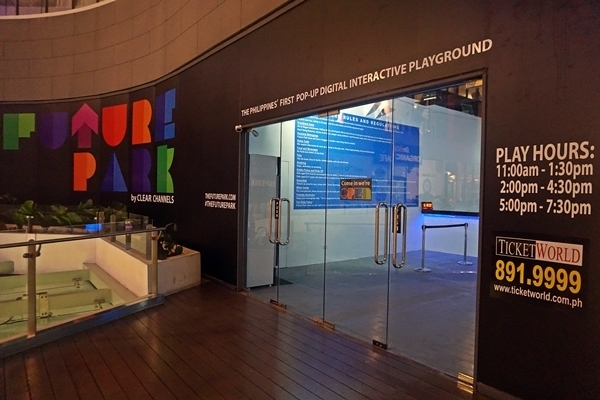 The installations at Future Park are award-winning games from the UK, Canada, the Netherlands and the Philippines. 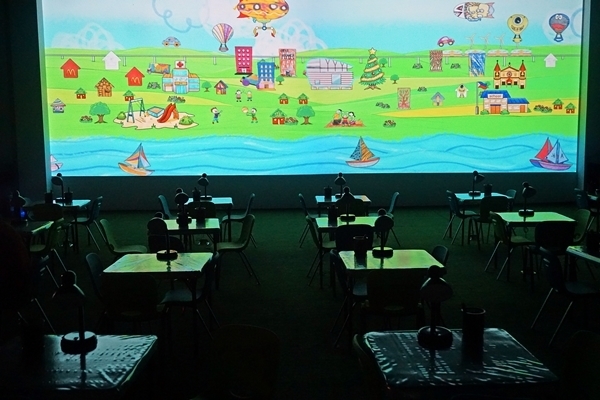 The interactive playground features five different galleries which will give kids the chance to participate themselves in a one-of-a-kind play experience that is powered by technology. The future of entertainment is here and you wouldn't want to miss out on it. 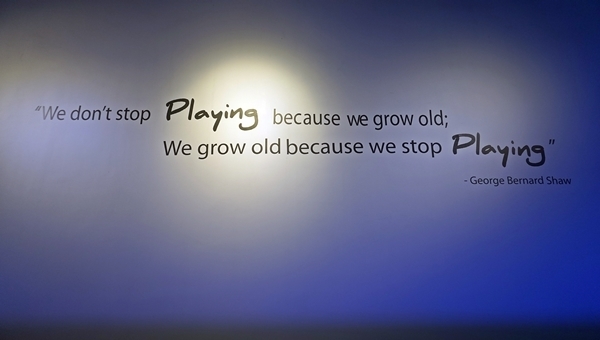 A quote posted which is addressed to adults to encourage them to play, according to Varick Ong, President and General Manager of Clear Channels Inc.
What will first catch you're attention is the Interactive Wall Art; it's not part of the gallery but guests can do whatever they want -- write their names, draw anything or just look at the bright thing -- since everything is interactive in the exhibit. 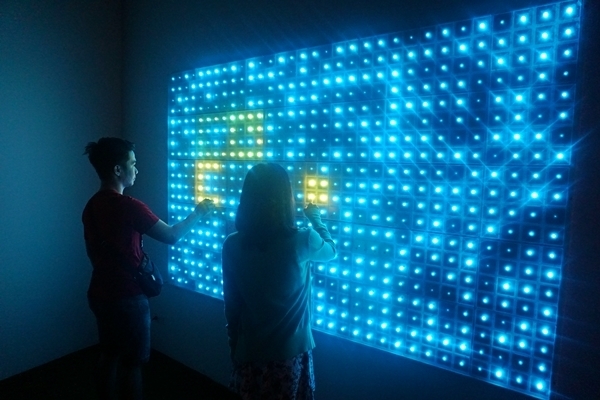 The wall changes color through a motion-sensing technology and what's fun is it can be installed in walls, floors and different kinds of furniture. 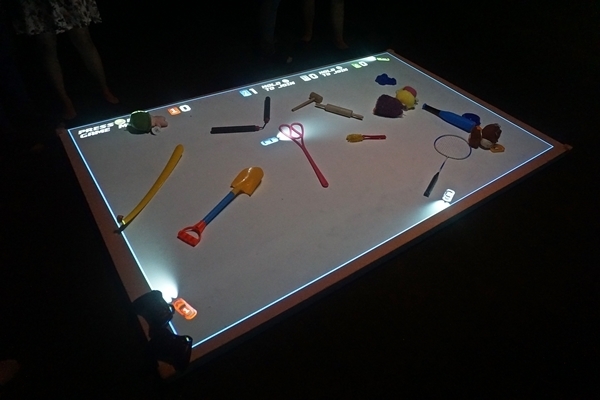 A 3D game from the Netherlands, it lets the players move their body to avoid obstacles as one races against an opponent. Imagine playing Temple Run but you have to actually move your whole body to avoid obstacles in the game. Who says you can't be active while playing a video game, right? 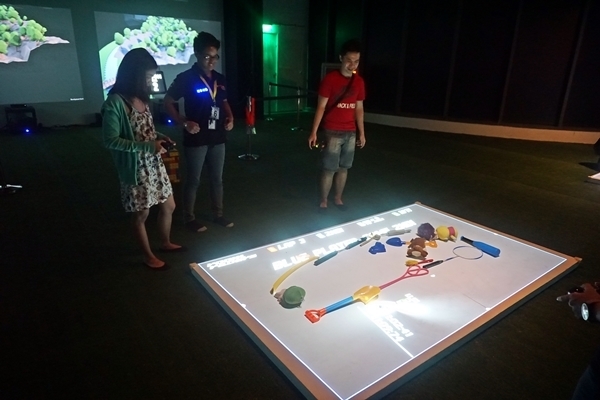 An award-winning video game that also hails from the Netherlands, it has remote-controlled virtual cars which reacts to physical pieces in real-time. Using joysticks to control the cars, players can shoot or race each other to earn points. 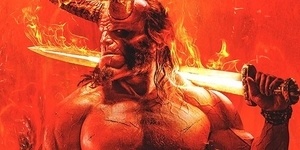 How is it different from other games? 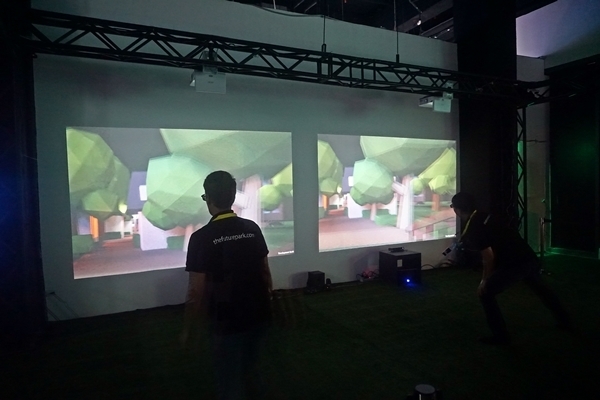 The screen has real objects which the virtual cars react to so you can change the objects' positions while playing. 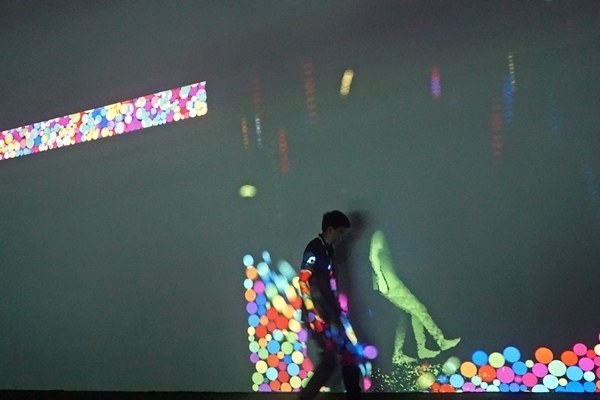 An attraction from Canada, your silhouette can make the virtual balls which appears on the screen move. Jump and the balls above will fall; play catch or just kick the colorful balls around to make it a more fun experience for the kids (and for adults, as well). Is your child a little shy? No worries! 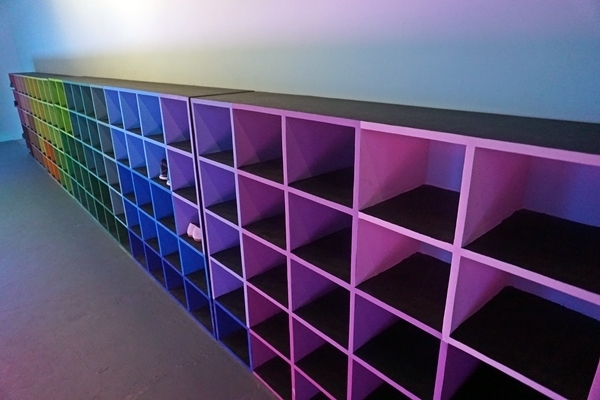 The Social Floor which comes from the UK, allows interaction between humans using different colors and shapes which surrounds a person when they enter the ring. 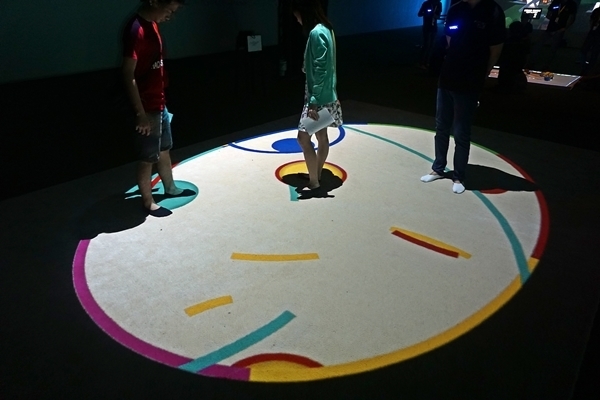 Once you step on the bright ring, a colored circle will appear at your feet which will send out more colors around; then, when your shape hits another individual's shape, the colors will mix and change. Hence, the interaction between the two. Bring your child's creativity to a whole new level. Proudly Pinoy, Sketch City is where you choose from different city elements -- a building, a truck, a boat, an airship, a school bus, a car, a jeepney, a house, an airplane or a hot air balloon -- and you draw in your design. 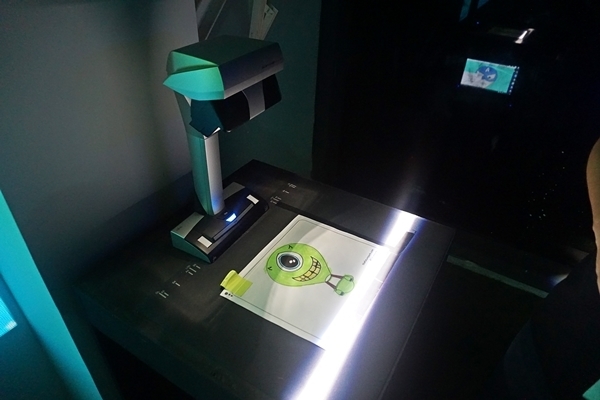 The artwork will then be scanned and all you have to do is to wait for it to appear on the virtual city that is projected on the screen. Kids (and kids at heart) can spend hours drawing and waiting for their sketches to appear on the screen. As it is a pop-up store, it will only be open at Century City Mall until January 31, 2016 so hurry and schedule your play dates. Future Park is located at 4th Level, Century City Mall, Kalayaan Avenue, Makati City. 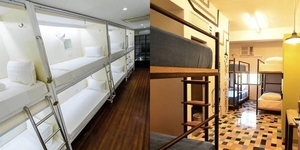 You can spend 2.5 hours for only P350 on weekdays and P550 on weekends and holidays. For more information, connect with them on Facebook, Instagram or their website.